A US firm working on Hyperloop technology is set to show off a prototype of its ultra-high speed transport system in the desert near Las Vegas. Hyperloop One (formerly known as Hyperloop Technologies), one of the many companies working on developing the technology, is demonstrating its "linear induction" propulsion system in an open-air test on Wednesday 11 May. The engine is the same one that would theoretically power a full-scale Hyperloop in the future. The Hyperloop, as we now know it, was first put forward by Elon Musk, the CEO of Tesla Motors and SpaceX. The theorised mode of transport works by propelling a pressurised passenger or cargo-carrying pod through a vacuum tube, where it can potentially reach speeds of 700mph. Musk developed the idea, and engineers from his companies are working on it, but the technology has been widely picked up by a variety of firms aiming to be the first to perfect it. Hyperloop One is currently leading the charge, and announced on 10 May that it had raised $80m (£55m) in a second funding round, receiving backing from firms like SNCF, France's state-owned railway company. The event will be the first public test in the company's history, and while the small track is a far cry from the international Hyperloop networks proposed by some of the technology's more optimistic advocates, it's a step in the right direction. Hyperloop One CEO Rob Lloyd said during the announcement: "We're the one company with the focus, the resources. 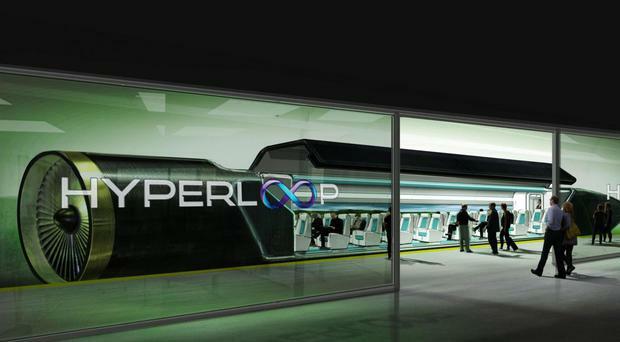 We believe we're the one company that can deliver Hyperloop first." Lloyd believes the Hyperloop will solve problems of urban congestion, and redefine cites and regions around the world by drastically cutting journey times. However, his firm will have to prove Hyperloops can be constructed affordably and be safe for passengers before they are taken up by transport authorities. In the meantime, the company is making connections across the world, in an effort to find suitable sites for future Hyperloops. It's currently partnering with the Åland Islands-based company FS Links AB to look at the possibility of a track connecting Stockholm and Helsinki. While the company is only trialling the Hyperloop's engine on an exposed track on 11 May, it hopes to conduct a full-scale test at the same site before the end of the year.